Helmed by a first time feature director, populated by international cast and with exteriors shot in Eastern Europe, Partisan is certainly not a typical Australian film. Whilst such diversity in local filmmaking is great to see, it is a shame that Partisan isn’t a better movie. 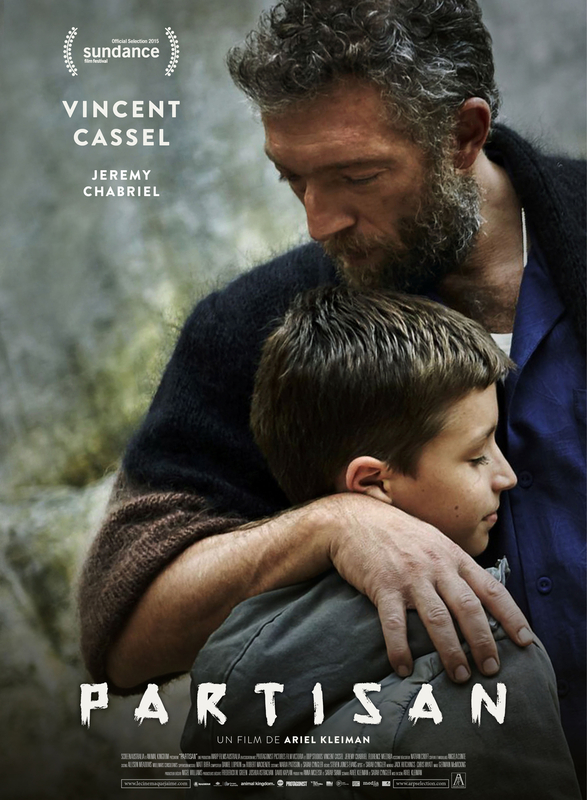 With a great premise that offers so much fodder for an engrossing story, Partisan ultimately suffers from a lack of exposition with regard to the characters and the circumstances in which they find themselves. 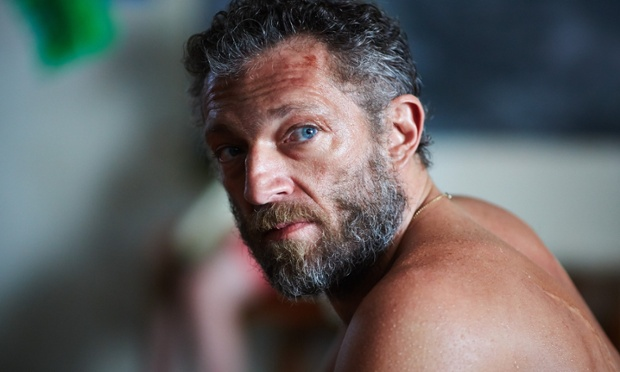 It is a slow-building, atmospheric and, at times, disturbing tale in which Gregori (Vincent Cassel), a Pied Piper-type figure, has established a self-contained community that is only accessible via a series of tunnels and underground passageways. He shares the space with a group of mothers (and their children) whose reasons for taking up residence with Gregori are never really clear. Is it just his charm or is there something much bigger going on beyond the walls of the compound that we don’t know about? After a brief opening moment in which we see Gregori prowling a hospital maternity ward and ingratiating himself with Susanna (Florence Mazzara), a woman who has just given birth to a baby boy, we jump to 10+ years later where the now 11-year-old Alexander (Jeremy Chabriel) is living with his mother, Gregori and the others in the ramshackle hidden abode. Whilst the numerous children, of whom Alexander is the oldest, see Gregori as a father-figure, it is never revealed just how many of them – if any – are his. In addition to traditional activities such as school, games and gardening, the children are also trained in the art of killing. We see the children tinkering with electronics in the classroom and practicing a hit with a paintball gun as Gregori prepares his young charges to work as assassins. The only time they leave the compound is to despatch their targets with ruthless efficiency. The film is presented through the eyes of Alexander, whose penchant for breaking the rules earns both the admiration and ire of Gregori. In fact, there seems to be a general sense of happiness amongst the members of what might well be described as a cult, although it is certainly not one based on any religious or spiritual doctrine. Cassel encapsulates the duplicity of Gregori’s personality effectively, presenting the patriarch as both charismatic and creepy; loving one minute, lashing out the next. Part of the problem is that we don’t really know what motivates Gregori. Why does he send the children to kill? Is it purely for the money he is paid or is there something bigger at play here? Why doesn’t he do it himself? Is he simply a coward with a messiah complex? As it turns out, the arrival of another mother and baby into the compound – with older son Leo (Alex Balaganskiy) in tow – leads to conflict as an act of defiance from Leo, whose understanding of the world extends beyond the confines of this cloistered community, leads Alexander to start questioning his own blind faith in the values around him. The enclave is presented as an oasis from the colourless world beyond and the cinematography captures the bleak external environment outside the compound in all its dreary greyness, serving to create an atmosphere of isolation and desperation. Unfortunately, young Chabriel struggles to articulate the emotional fluctuations of his character and he delivers his lines in the same monotonic manner no matter what the circumstances. 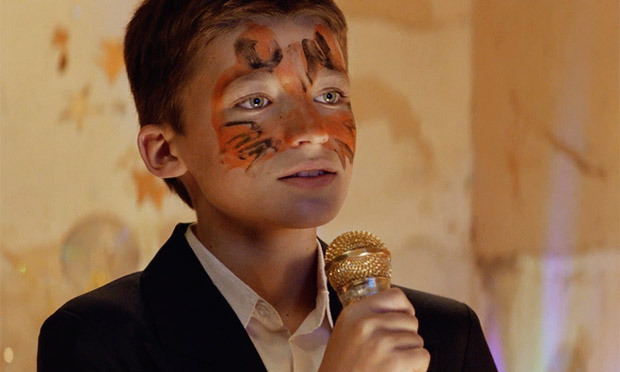 Director Ariel Kleiman – a VCA graduate whose short films have featured at Cannes and Sundance – has mostly refrained from delivering any kind of moral judgement, leaving it to the audience to decide for themselves. If only there was enough contextualisation of the events to enable any kind of meaningful deliberation. There is a vein of dark humour traversing the narrative, which is apparently inspired in part by real-life events. Perhaps the problem, for me at least, is simply that it doesn’t measure up to other films that traverse similar thematic terrain, such as cults and indoctrination (Mary, Martha, May, Marlene) or child assassins (Leon: The Professional). Kleiman has created a film that is provocative and possesses some genuinely impressive elements but, ultimately, Partisan is too ambiguous to make it truly compelling.